The site nippon-ni.net was created in the autumn of 2003. The reason was that I (Johan Nielsen) was moving to Tokyo, Japan, for a two years postdoctoral research at the University of Tokyo (æ±äº¬å¤§å­¦). Nippon-ni.net was intended as the means for me to communicate with family and friends in Sweden about my daily life in Japan. Especially the diary, where I wrote all that happened every day for two years, became what I intended. Now nippon-ni.net continues in a transformed form. It is no longer a diary but a blog where significant events of my everyday life will be recorded for anyone to read. But most of all for myself, my girlfriend, my family, and my friends. The photos of nippon-ni.net is Copyright Johan Nielsen, and licensed under a Creative Commons Attribution-NonCommercial 3.0 Unported License, except were explicitly stated otherwise or where it is obvious that Johan Nielsen is not the creator e.g. 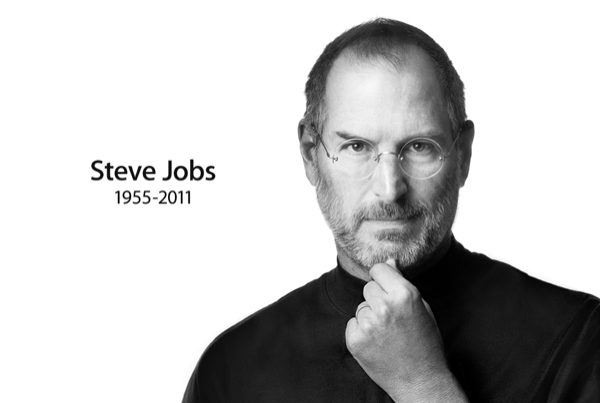 the “Steve Jobs 1955-2011” photo which is Copyright Â© 2011 Apple Inc. All rights reserved. TrÃ¤ffade din mamma Birgitta pÃ¥ lunchen och blev lite nostalgisk. Hon tipsade om din blogg. LÃ¥ter fantastiskt att du fortfarande bor i Japan och verkar vara hemma dÃ¤r. Olof och jag bor sen 10, (!) Ã¥r i GÃ¤vle pÃ¥ SÃ¶der. KÃ¤nns konstigt att allt gÃ¥r sÃ¥ fort, men vi har det bra och roligt. Jag arbetar med regional utveckling och fÃ¥r gotta mig i en massa roliga omrÃ¥den och trivs med det. Jag hÃ¶rde att du inte planerar att komma till Sverige pÃ¥ ett tag, men nÃ¤r du gÃ¶r det och om du vill trÃ¤ffar vi dig jÃ¤ttegÃ¤rna. Hej, long time… NÃ¤r jag kommer tillbaka sÃ¥ mÃ¥ste vi trÃ¤ffas. Det vore roligt inte bara att se er och hinna ikapp utan ocksÃ¥ om mÃ¶jliga framtida kopplingar. Tror att mitt nya jobba och vad jag jobbat frivilligt med en tid anknyter till ditt jobb. Johan, visst fick du svar av mig? Vi vill sÃ¥ klart gÃ¤rna trÃ¤ffa dig!